Shenmue does such a fantastic job of selling menial tasks to its audience. While a lot of games try to delight us with various lawn mowing minigames and the like; there's something about taking over a carnival stand and asking people if they want to gamble their money away that just resonates. 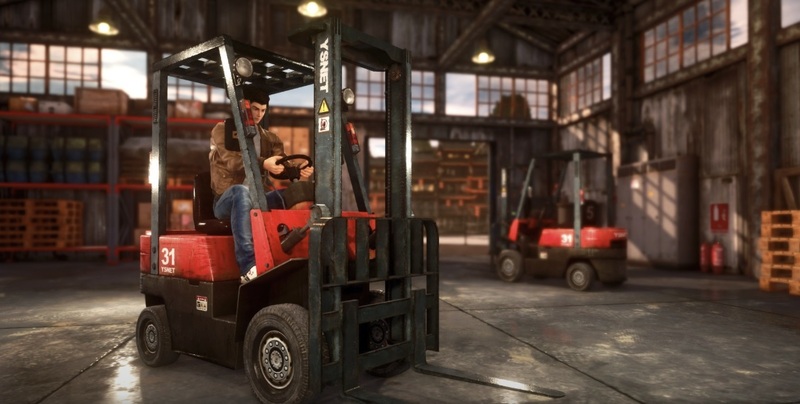 Of course, we can't talk about Shenmue jobs without mentioning the memorable forklift. Shenmue 3's developer Ys Net can't either it seems, as they confirmed the activity ahead of the release of the new issue of Famitsu. While more info will assuredly be found in the magazine, Ys Net gave us the basic rundown today, as well as a screenshot. Amazingly, Shenmue 3 was actually confirmed ahead of Sony's 2015 E3 conference by series creator Yu Suzuki with the same machinery. Wait, 2015? Yep: it feels like ages ago since the third entry was revealed.